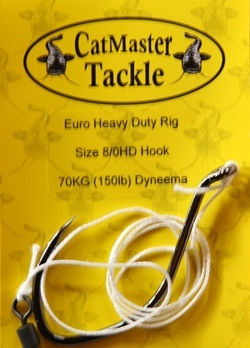 Catfish ready made rigs from various companies, these form an easy entrance in to the world of catfishing whether you are a beginner looking for your first catfish or the more seasoned and experienced catfish angler, with rigs including Boilie/Pellets rig, Leech & worm/s rig, a basic polyball livebait rig, dumdbell rig, catocopter rig as well as the winch rig. 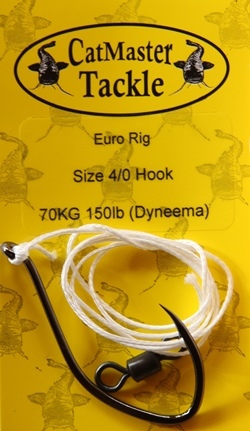 Along with some more advanced rigs for those looking for some thing different for the UK and the continent. 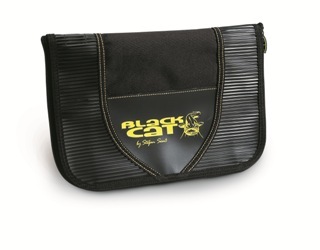 Designed for the angler who wishes to have a go and see, to the experienced catfish angler. 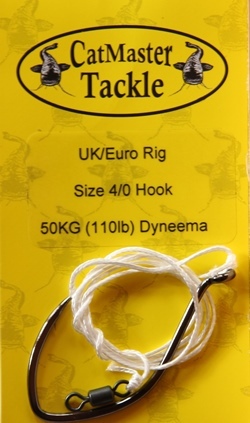 A stepped up version of the standard uk rig. 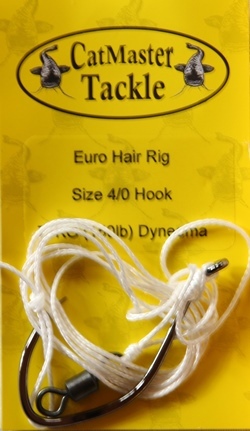 Made with an Eagle Wave Barbless hook so as to be fully complyant with fisheries that insist on fully barbless hooks & not crushed. 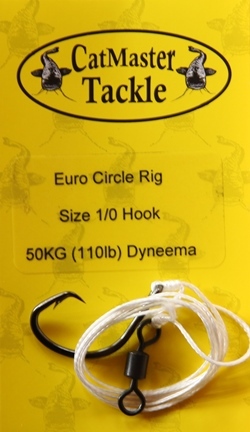 Tied with 50KG (110lb) Dyneema with a 100lb swivel. 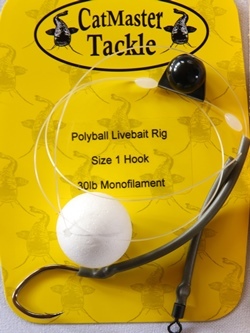 A radical change in rig design allowing rapid change of bait without having to change the complete rig. 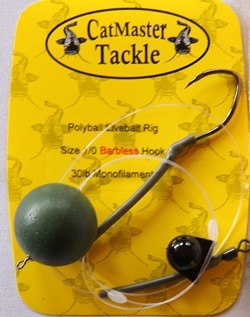 But you can also use other baits attached to a mono link such as luncheon meat, paste, even fish sections,the list is endless. Finished off with our "Mega Hard Polyball"
Finished off with a "Green Mega Hard Polyball"
A polyball rig with a difference. 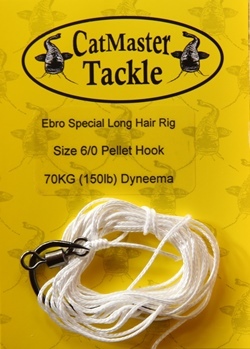 As a standard hair rig but longer complete with a threaded length of stiff tubing to protect the meat or paste when casting. As a standard hair rig but complete with a meat & paste coil to secure the meat or paste when casting.